Hob. Time: 14 -16 mins. Rinse 60g of rice per person in running water. Place in a sauce pan with double the amount of water. Add salt if desired. Bring to the boil. Cover and simmer gently for 14 -16 minutes. Fluff up with fork. Drain thoroughly before serving. 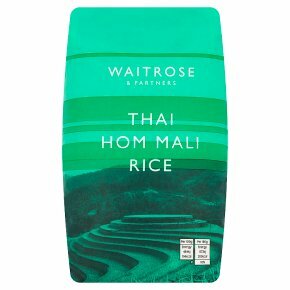 60g of dry rice gives approximately 180g rice when cooked.